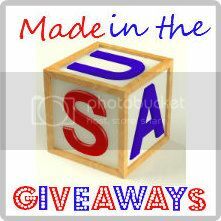 Welcome to the Made in the USA Giveaways Linky. If you are hosting a giveaway and your product is made in the USA, then you have come to the right place. I invite you to list your giveaways here. This link-up will be posted every Monday. To all of you that have linked up items here, I thank you. 2. Multiple-item giveaway? All of the items must be made in the USA. 3. Gift cards or cash? Go right ahead and list those here. Submit Giveaway as: Title / End Date. Example: Beauty Product 03/30. New Markdowns up to 40% off from Unique-Vintage.com!